Itchy, dry flaky skin and infections. Any kind of limp or pain. Inflammation of joints from arthritis. 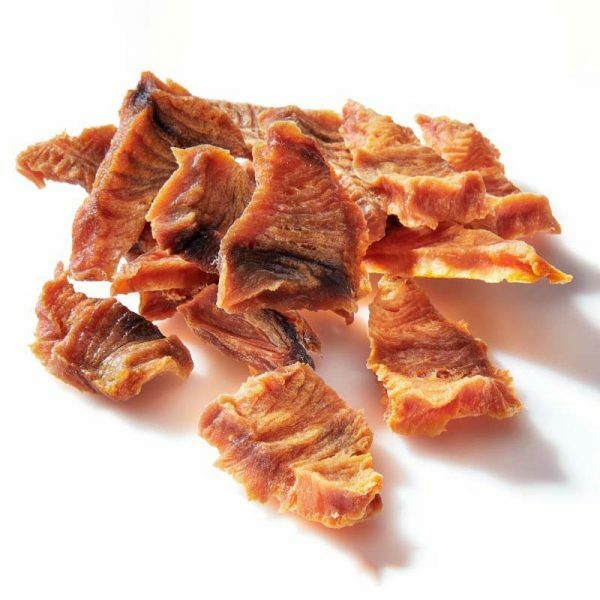 Fish jerky is great as a quick snack and perfect for a high value training treat. 100% Flake meat (generally gummy and common black tip). These shark are caught using sustainable practices with quota’s strictly managed by the Australian Fisheries.